Who is who and what is he to you ? 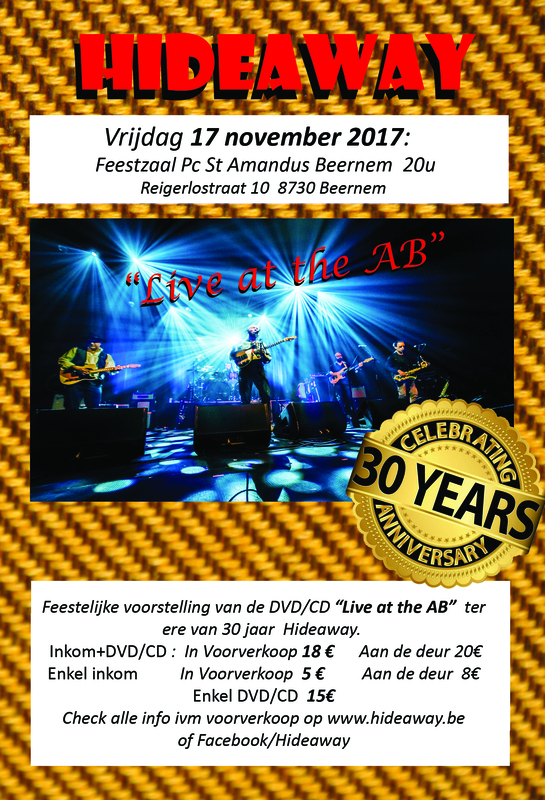 Voorverkoop : mail uw bestelling naar info@hideaway.be en stort het totale bedrag op bankrekening BE15 7381 2218 2030 (Vzw Blue Tune). Voor verzending per post van de DVD/CD vragen wij 5€ extra. The band is named after the Freddie King Classic ‘Hide Away’ (1960). Just like this instrumental has elements of several songs and styles, Hideaway likes to play songs and styles that originate from different American musical areas : Blues, Rhythm and Blues, Rock’n’Roll, Soul, Gospel, Country, you name it … It’s the stuff they like to listen to while cruisin’ away in their Bluesmobiles. Freddie King was one of the 3 fabulous Kings of the Blues : Albert, B.B. and Freddie. Check out their music! hide@1986 17 januari 2016 . Geen reacties op Blues Americana. Categories: Geen categorie.